They tell you in entry-level teacher education courses to avoid picking favorites. Do not pick favorite students and approach every content area with an open mind. The same could be said for each year we are on this Earth. Do not pick a favorite. Every year’s triumphs and challenges help to shape the individual you are today. I’ll politely ignore all of those suggestions and say that 2015 was, without question, the best life has had to offer me thus far. What a year! What an adventure! What a foundation for the future! This time last year I was preparing for my ten-month teaching position in Malaysia. I distinctly remember sitting at my desk drafting both personal and professional goals for the coming year. I hoped to gain more confidence as an individual outside of the classroom while strengthening my craft day by day. I also hoped to leave Southeast Asia with a “lightly toasted not fried” suntan. Though my goals were slightly modified given the realities of my placement, they remained true to their original cores. With the exception of a few slight burns, I am happy to say I accomplished all three of those goals. 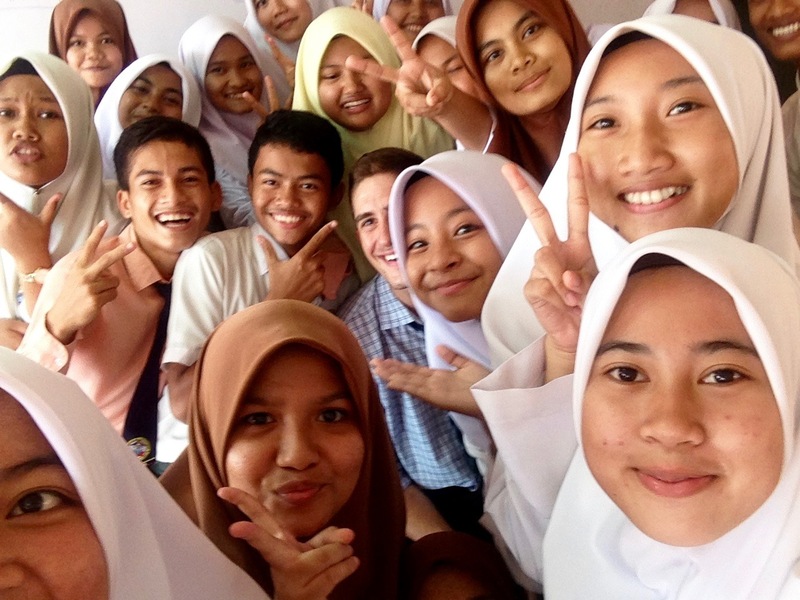 Teaching and living in rural Malaysia was an incredible challenge. I wrote extensively about my failures and the breakthroughs over the year. I was amazed at the almost insurmountable barriers some of my students put up to deter my efforts to reach them. Out of the approximately one hundred and fifty students I consistently interacted with on a weekly basis, most of them opened their hearts and minds to me after a few months. Some took much longer. I recall a group of boys waiting until my very last month to initiate conversation with me in class. A handful of students never did find it within themselves to take a risk and open their world up to me. Although it is part of the teaching profession, failing to impact all of your students in the ways you had hoped to, I find myself reflecting on what I could have done differently to reach all my students in a genuine way. What questions could I have asked to spark their engagement? What activities could I have aligned better with their interests to make our learning more relatable? Even though I think about all of the ways in which I could have improved my practice, my students’ social and academic progress cannot be ignored: their confidence levels as English speakers skyrocketed and their grasp of both conversational and academic English increased as well. As the saying goes, “you win some and you lose some.” I’d like to think I won more this past year than I lost. Thank you, SMK Badak. Thank you, Malaysia. Thank you, Fulbright. While I have spent a lot of time over the past few months reflecting on my previous year, I have also found time to look forward to the future. 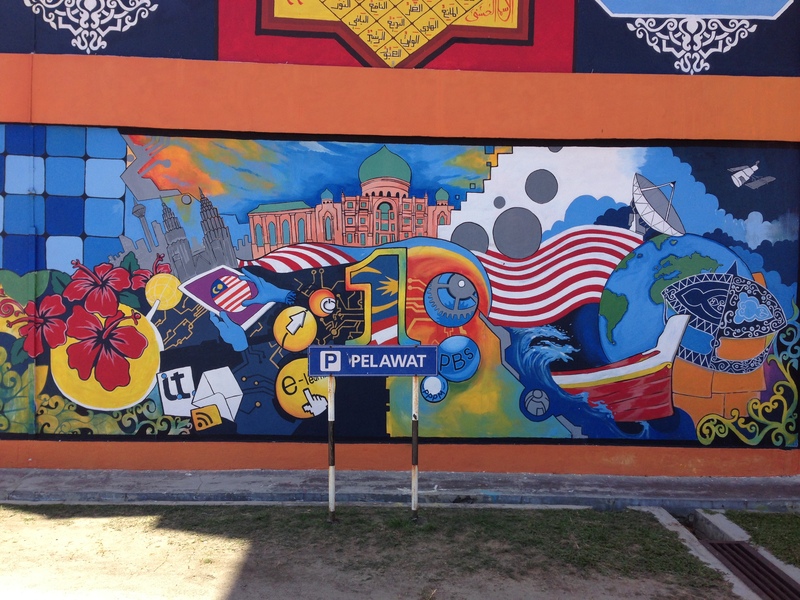 Thanks in part to my experiences in Malaysia, I will soon have the privilege to continue my international teaching journey at Newton College in Lima, Peru. Newton College is an elite, bi-lingual, Peruvian-British international school that prides itself on nurturing well-informed global citizens. The school introduced the International Baccalaureate (IB) curriculum to the county of Peru in the late 1980s and has been a leading academic institution in the region since. As an IB school, Newton College takes a holistic approach to teaching and learning. Not only are students’ challenged cognitively, they are also offered opportunities to grow physically, socially and emotionally. All four of these components work harmoniously in order to prepare students for success in and out of the classroom. If there is one thing my previous teaching experiences have taught me, it is that the purposeful education is meant to prepare every student for life outside of the classroom. More than the facts and formulas, teaching and learning is about life skills and the ability to constructively fail. My own philosophy of teaching strongly correlated with Newton’s, making my decision to accept a teaching position there an easy one. Despite the fact that I pride myself on being able to articulate my emotions on paper, I struggle to accurately describe my level of excitement for this coming school year. SMK Badak was an incredible challenge and, in some ways, it will always be my toughest yet most rewarding year of teaching. Many of the raw emotions I am experiencing in anticipation of my year at Newton College are similar to the ones I felt one year ago. Part of the nature of international teaching is that there are a lot of unknowns. Unfamiliarity with the host country, the language, the food, the climate, the school environment and the student body will all remain a mystery until I am settled in Lima. This is simultaneously captivating and terrifying. However, just as my year in Malaysia was a rollercoaster of emotion, so too will the coming year at Newton College. In fact, this will be the case regardless of where I teach for the rest of my career. The teaching profession does not rest in a flatline position. It ebbs and flows like the sea. And just like the sea, some days the waves are overpowering while other days the waters are calm. The two most important factors to “weathering the storms” of teaching is having a strong personal foundation and an even strong support network. I had both in Malaysia and, as a result, I was able to flourish. I know I will have the same at Newton College. 2015 was a great year. My favorite of my young life thus far. Who knows what 2016 has in store for me, it is impossible to say for sure. What I am certain of is that my dream of inspiring and learning alongside brilliant young minds will continue.